Underfloor heating is the heating system par excellence. It provides a smooth and pleasant heat and it is energetically efficient. It is aesthetically friendly as it is totally invisible, leaving the walls free to furnish and decorate each room without any limitation. It is suitable for both new construction and renovation. It is widely used in renovation thanks to its easy installation with a total thickness between 1 and 2 cm and possible on existing floor. Its direct connection to electricity in each room allows a partial house renovation with a limited budget (no needs of any type of boiler, neither any pipes installation). 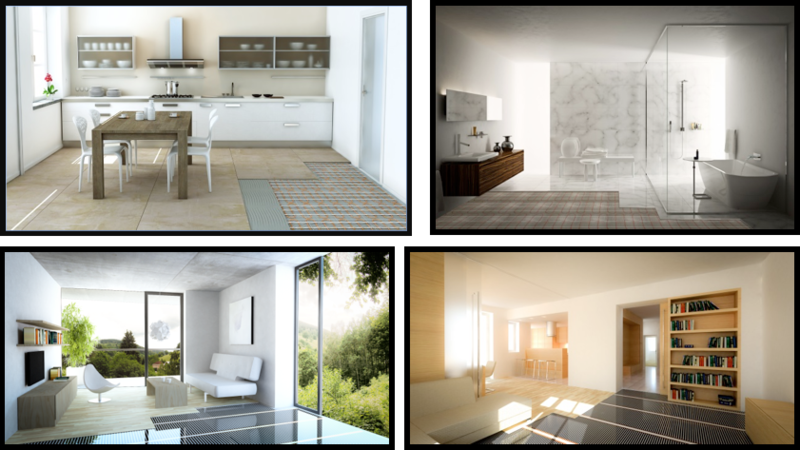 Two different way of using underfloor heating should be distinguished, main heating system and auxiliary tempered floor. 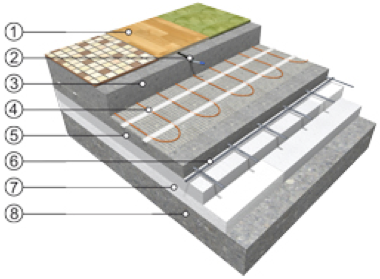 As the main heating system (in most of the cases), the electric underfloor heating is intended to heat up the room at the requested temperature. The regulation system takes as a reference (set-up temperature) the ambient temperature and uses the floor temperature as a limitation to prevent the floor from reaching undesired temperature. The installed surface depends on the total output needed, but surface output is normally adjusted to cover the whole available surface of the room. As an auxiliary tempered floor, the electric underfloor heating is intended to provide a pleasant floor temperature during users’ presence. The regulation system takes as a reference the floor temperature but doesn’t control the air temperature. It might be necessary in this case a main heating system (heating panels, radiators …) to maintain the room at the requested temperature. This system can be installed in some desired area (in front of the shower or bath tub only for example). 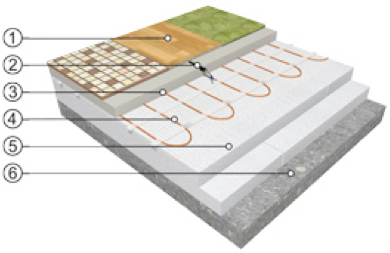 The heating cable (or heating mat) will always need to be embedded in a conductive material (concrete, cement) for a correct heat dissipation to the floor construction. It is recommended for both new construction and renovation. The heating film for a dry-laid installation directly below laminated floor, without any layer of cement. The limitation of this easy installation is that the heating film cannot be installed below ceramic floors that need to be fixed with cement. It is mainly recommended for renovation. 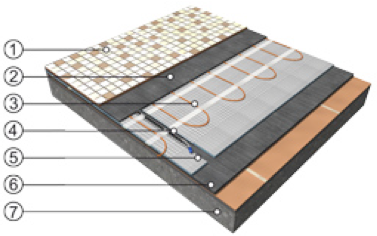 It is the main type of installation for underfloor heating. The heating element is located directly underneath the floor pavement. It is used for both main heating system and tempered floor. For the main heating system, the installed output goes normally from 60 to 120W/m2 depending on the type of house and the heat loss calculated. For tempered floor, the installed output is normally higher at about 150 to 180W/m2. The heating cable is located directly within the flexible cement or self-leveling screed. The linear output will be limited (10-15W/m) to maintain a reduced C-C spacing and provide a homogeneous heat distribution. The heating foil always located directly below the laminated floor and as a consequence is only used with direct heating installation. 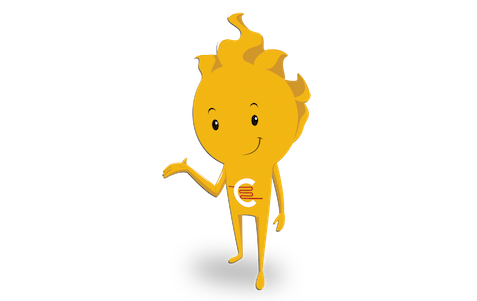 In damp environment, the heating foil is not suitable and is substituted by the Al mats with the same dry-laid installation. For renovation, there is normally a limited thickness to locate the heating system. 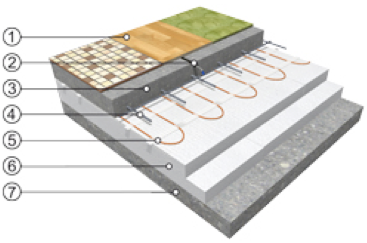 However, thanks to our special insulation boards, the electric underfloor heating can fit in a very limited thickness over the existing floor, within less than 1 cm with the heating film and within less than 1.5 cm with the heating cable. 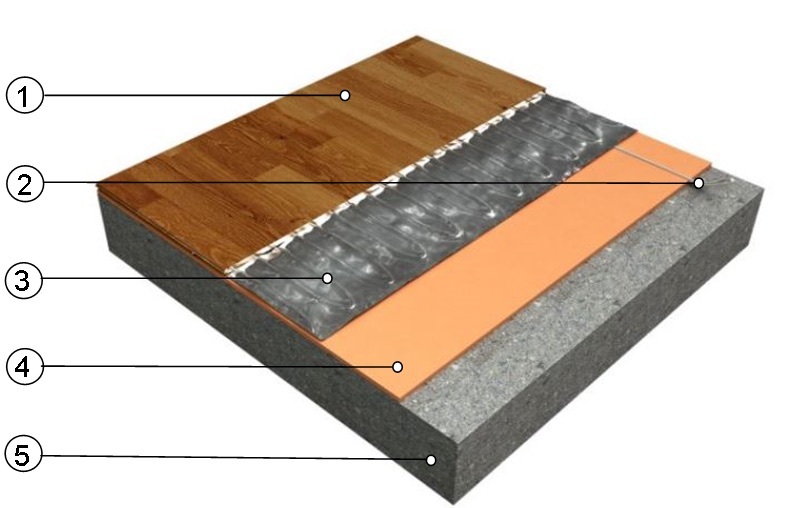 For tempered floor applications, the heating system is normally turned on for limited period of time. 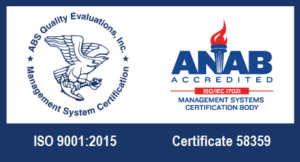 Reactivity of the system and heat-up time are key parameters. To ensure an efficient system, the use of special insulation layer is highly recommended as described in the previous scheme. 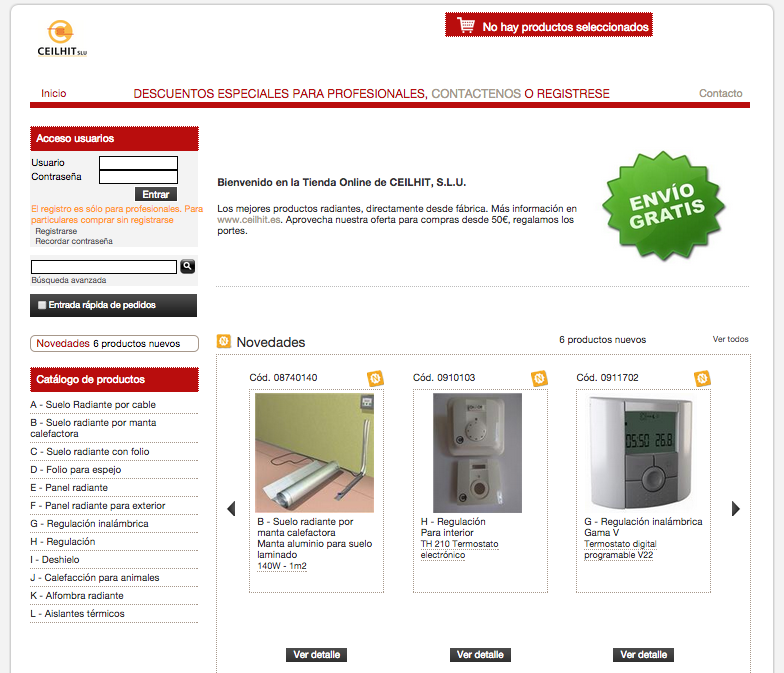 This system is only used for main heating system and with heating cable or mats. The heating element is located directly over the thermal insulation and is covered by a 3-4 cm layer of concrete, or within the concrete base, for instance on the metallic grid. The heating system provides a higher inertia than the direct heating system but is not suitable for storage heating. The heating cable can be placed with a higher C-C spacing and a higher linear output (up to 18W/m), reducing then the acquisition cost. However, the installation is more complicated and the first heating needs to be done according to a defined stepped temperature increase. Due to its relative complex regulation and the absence in many countries of night electricity tariff, this system is only used in specific defined cases. 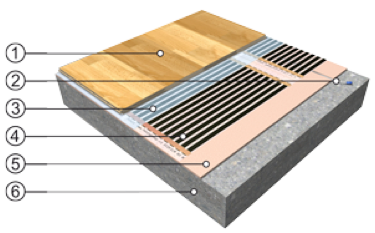 The floor needs to have a layer thick enough (12-15 cm concrete) in which the heat is accumulated during a limited time period (normally night period) to cover the heat needed during the whole day. The heating cables are of high mechanical resistance with a higher linear output (20-33 W/m) to be able to provide a surface output up to 250W/m2. This type of installation is recommended when the necessary output is not available during the day time, for instance in industry with a high energy demand during the day and a lower demand during night time or for isolated areas where the electric supply infrastructure capacity is deficient. It is also normally used in mountain area, especially for second residence flats, to maintain a minimum temperature within the whole building, independently of the flat occupation to prevent any damage due to negative temperature. In this case, this system is combined with other auxiliary heating systems (heating panels, radiators) to reach normal air temperature required.